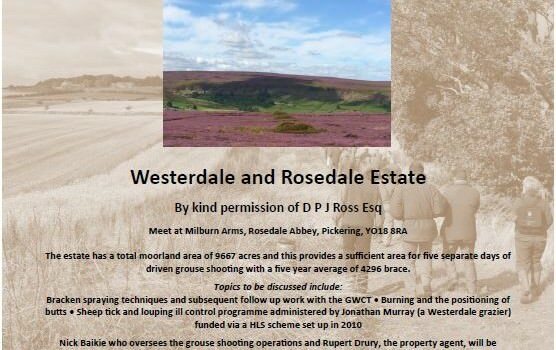 driven grouse shooting with a five year average of 4296 brace. collars being trialled for tick control. There will be some walking and 4 x 4 vehicles with reasonable ground clearance will be essential. Places are £15 each including light refreshments afterwards at the Milburn Arms.